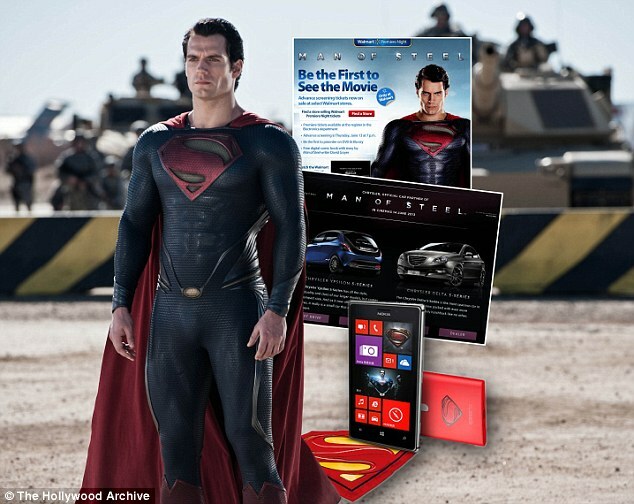 How Superman: Man Of Steel Has Made $170Million Without Even Selling A Ticket - kaycee Weezy! Investors will be rubbing their hands with glee. Before the new release of Superman has even sold a ticket, producers have recouped three-quarters of the film's cost. And it's all thanks to product placement. Love it or hate it, advertising through cinema has been around as long as Hollywood itself. While some films open themselves up for some clever product placement - think James Bond, his Aston Martin, Martinis and watches - others' artistic message might be compromised by it. Some argue they opt for product placement because funding is more difficult to come by for film-makers. 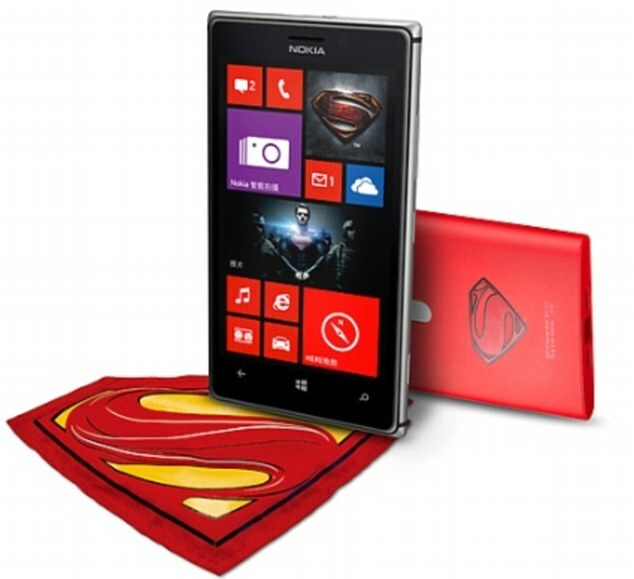 This time, for the renowned character Superman, the film-makers decided to go big - kitting him out with all the latest branded technology and gadgets. 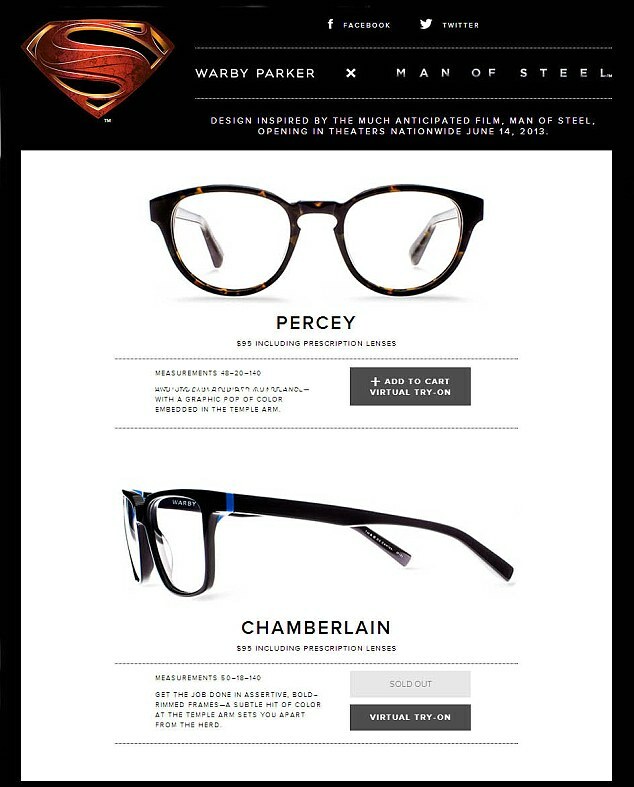 So, where does Clark Kent get his glasses? In this film - Warby Parker. And his mobile phone is Nokia's latest model. In fact, when it launches this Friday in the UK, the new Superman, called Man of Steel, will officially scoop pole position for the most product placements ever used. Almost 100 companies have inked deals with Warner Brothers for their brands to appear in the film. From a marketing perspective, what company wouldn't clammer to be associated with the world's hardest, and nicest, man? The deals have earned the film-makers $170million (£107m); it cost them $225 million to make it. Quoted in the Independent, Ryan Newey, of the advertising agency Fold7, said: 'More and more companies are looking to the film industry to promote their brands, as films are a great source of integrated advertising. 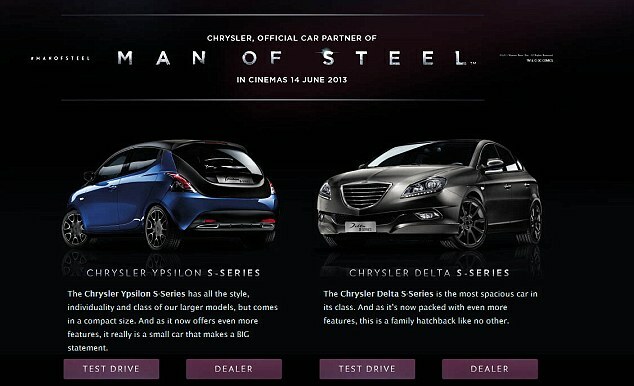 And they provide aspirational characters, which companies are keen to associate their products with. Whether or not Zack Snyder's epic will beat previous Superman films at the box office, however, remains to be seen. The highest earning Superman film to date is Superman Returns (2008), which took nearly $391 million. A close second was the original Superman (1978) which took over $300 million. Superhero characters in general have a good reputation at the box office. All of the existing Iron Man films have scooped top 100 positions for box office sales, while people can't get enough of Bat Man and Spider Man. The top selling film at the box office worldwide, is also a fictional character film - Avatar - which took nearly $2.8 billion worldwide.